Morning: Take a nice dragon boat trip on Perfume River to visit Thien Mu Pagoda. after that you will take a bike ride to The Citadel Complex of Hue, which was built up and operated by Nguyen Dynasty from 1805 to 1945, is now among the most important relics of the Hue ancient Capital – the World Cultural Heritage. then start biking to the villages on the green shaded roads, passing by the communal houses along the rivers, canals and through the rice fields to the first stop Thanh Thuy Chanh village with Thanh Toan Bridge, agricultural museum. Taking a walk around the village to see how the local life is and most remarkably the local market. Have lunch at Thanh Toan Eco restaurant. After visiting Thanh Toan, we continue biking to Khai Dinh Tomb – A memorial of the 12th king of Nguyen Dynasty. Unlike Hue’s other tombs, the grandiose concrete structure, built between 1920 and 1931, is a synthesis of Vietnamese and European elements. Even the stony faces of the mandarin honor guards are endowed with a mixture of both features. your bike will be pick up by truck and you are transfered by car back to your hotel. Am Pick up your hotel , After a short transfer out of Hue city, start to bike the coastal road from Thuan An to Phuoc Tuong Pass. Ride past rice fields, fishing villages, and a colorful quiet city. The quiet city or “Ghost city”, as it is called by locals, is the ancient burial-ground of Hue. Keep riding on uphill to Phuoc Tuong Pass, and stop for lunch at Lang Co beach. Warm up before we pedal uphill to the top of Hai Van Pass. In the Late afternoon, take a short transfer to Hoi An and overnight in Hoi An. your guide, mechanic & driver will see you off at your hotel and next cycing day with another local guide. people worshipped Shiva, the God of war. After a lunch of My Quang noodles at a local restaurant, you are transported back to Hoi An by minibus. Immerse yourself in traditional Vietnamese culture on this full-day tour of Thanh Toan village from Hue. 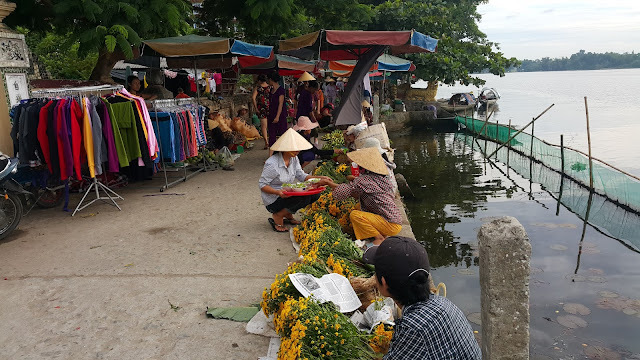 Live like a local for the day as you cycle around the rice paddies, shop at the village market and try your luck net fishing on a small boat cruise. Then, get hands-on in the kitchen with a cooking class and learn to make local specialties before tucking into your delicious home-cooked lunch. In the morning you will be picked up at your hotel. 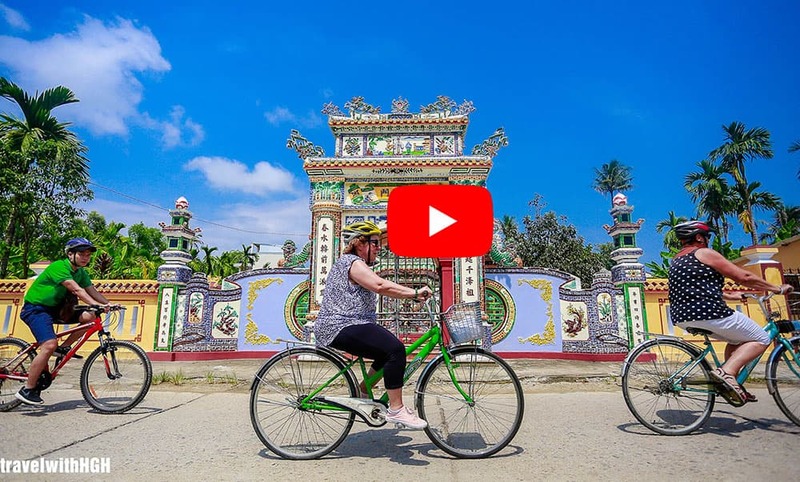 Get started biking to the Thanh Toan village, on the green shaded roads, passing by the communal houses along the rivers, canals, and the rice fields. Stop at Thanh Toan restaurant for a soft break. Stroll through the village to visit the Thanh Toan tile-roofed bridge, an agriculture tools museum and local market. Later, you will board a small boat for a river cruise to meet and engage with local fishermen and enjoy a hands-on experience of traditional net fishing. Bike back to Thanh Toan restaurant to see the farmer’s activities in their garden and learn how they grow many kinds of vegetables, then join a cooking class. Learn the traditional ways of preparing and cooking Vietnamese foods that may include Fig mixed with shrimp and pork, Lot leaves with grilled beef, and pancakes. After the lesson, enjoy what you have cooked including braised fish, vegetables with beef, white rice, and dessert (fruit or lotus seed sugar soup). Return to your hotel by bicycle. Gather at hotel lobby at 7:30AM, meet your tourist guide and choose your bike to start a full day of Hue cycling trip to the traditional craft villages. Follow your tour guide, you will ride across Truong Tien Bridge and then slowly walk with your bike through the back of Dong Ba market where you will have a chance to explore lots of differences in the shopping habit and food ingredients of Vietnamese. After that, riding about 15 minutes, you will reach a less touristic place named Bao Vinh - an ancient town having houses with over hundreds of years situated a long the narrow street, walking around to learn more about the life and the history of this place before taking a fascinating boat trip across the Perfume river to Tien Non Village. It is about 20 minutes riding from this point to Sinh village which is famous for its traditional paper paintings. 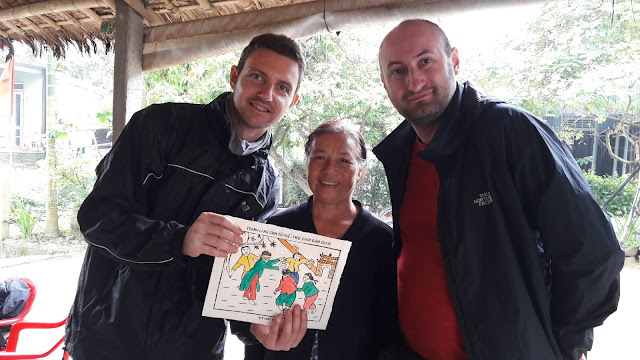 Arriving at Mr Ky Huu Phuoc’s house, spend some time to talk with the artist about this special kind of craft and learn how to make the painting from the traditional materials. Mr. Ky is willing to guide you step by step so that you will have such a great souvenir to bring back home. 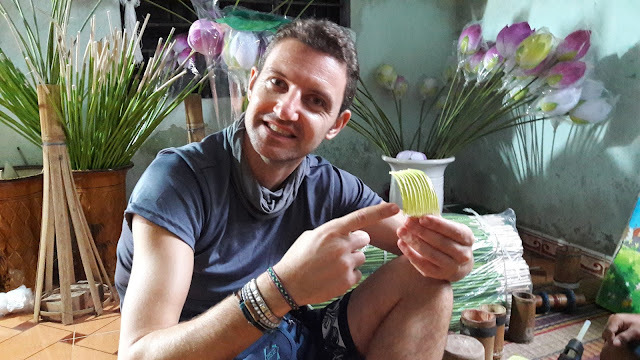 Continuing your cycling trip to Thanh Tien village which is famous for its traditional craft of making paper flowers passed down to generations about four hundred years. The artisan will teach you how to make the paper lotus with sophisticated steps. You can choose to make paper lotus in different colors, pink for supreme power, white for purity and violet for the beautiful Hue girl in “Áo dài”, all of them manifest the beauty of the land and people of Hue. You can keep the flowers as souvenir. If you are cycling enthusiast, if you want to roam all over on your bike, cycling along the green tree-lined path, learn about the cultural and spiritual values, record the most authentic moment of daily life of local people, then this the choice for you. Come with us-hue cycling and share your experience. After fully loaded energy for Hue Cycling tour today, meet your Cycling tour guide who will show you how to control your mountain bike on the cycling road in Hue. 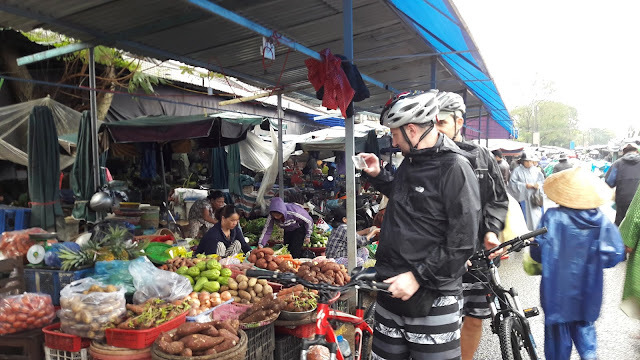 A short time for checking and warming up, we start our tour by passing some busy roads from your hotel to “Chợ Cống’ – Cong Market, very slow riding between crowded flow of locals, you have time to see the bustling morning market. Cycling along the Nguyen Lo Trach street and some other unnamed paths, through the green field, then we reach thanh Thuy Chanh village in which we can stop to visit the Communal house, family temples, famous Thanh Toan Bridge, agricultural tool museum and soft walking around the village, take your rest after completing half road of Hue Cycling Tour before keep cycling to Van The village. 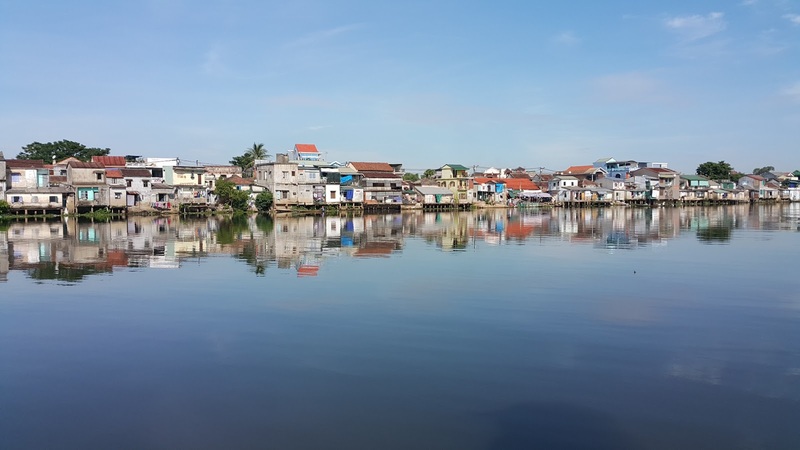 Along the way cycling up Nhu Y River to return to the city, we will stop to visit some of pagodas, temples, you also can caught the moment of people working on the flower field or fishing on the river. Arrived at your hotel, end of Hue Cycling Tour. Wish you good health and lucky always!!! As a special part of Hue soul, Huong River (or Perfume river) is like the hair of an elegant lady lying over the land with soft curves. The rice fields, corn fields and life of local residents add the vivid beauty and interesting stories to the river making herself so lively and familiar to everyone. If you are interested in seeking the authentic beauty of Hue and get to know the untold stories then this tour can leave you with great smile of satisfaction. The trip will take its start with the dragon boat going down the river, stop by a number of villages to explore the local life and noticeably you can join hand to make something for your own to bring back home. Gather at hotel lobby at 7:30AM, meet your tourist guide and choose your bike to start a full day cycling trip to the countryside and the traditional craft villages. Follow your tour guide to Toa Kham boat landing to take morning Dragon boat trip down on the Perfume River and enjoy the stunning landscapes along the river. After about 20 minutes, you will reach the first stop named Bao Vinh - an ancient village with over hundreds of years, take a walk around to enjoy the life and the history of this place. Continue by boat to Trieu son village, visit communal house built in 1770 and local market before taking another cycling on the beautiful zigzag path to vegetable village and incense making village where you will have an opportunity to join hand with local people for the exclusive experiences. After cycling around the village, stop at Thanh Phuoc boat landing, get on your boat and then cross the river to Sinh village which is famous for its traditional paper paintings. Arrive at Mr Ky Huu Phuoc’s house, spend some time to talk with the artist about this special kind of craft and learn how to make the painting from the traditional materials. Mr. Ky is willing to guide you step by step so that you will have such a great souvenir to bring back home. You will have lunch with local dishes after that. Great local dishes and a good rest during lunch time would refresh you for the next cycling trip to Thanh Tien village which is famous for its traditional craft of making paper flowers passed down to generations about four hundred years. 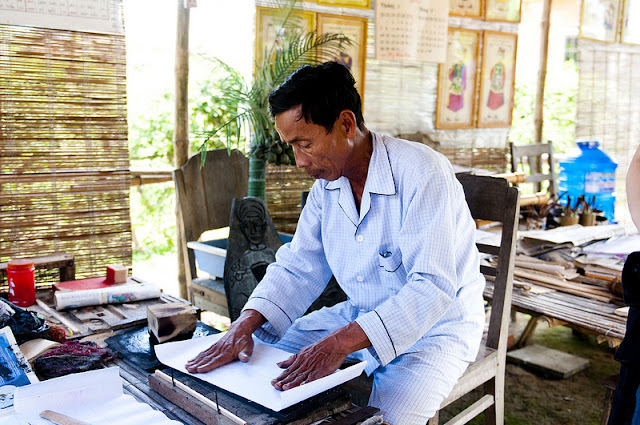 The artisan will teach you how to make the paper lotus with sophisticated steps. You can choose to make paper lotus in different colors, pink for supreme power, white for purity and violet for the beautiful Hue girl in “Ao dài”, all of them manifest the beauty of the land and people of Hue. You can keep the flowers as souvenir. Bid farewell to your host family, take Dragon boat trip back to the city. Tour the end at your hotel. Hello, and welcome to our site! We hope you like the place and decide to stay.